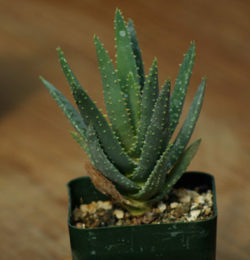 Note: These are quart-size plants as per photo and will be bare-rooted to ship. 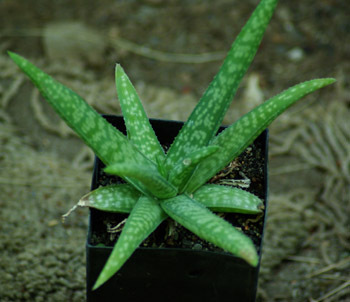 Perennial succulent native to Ethiopia, Somalia and Kenya, this is a choice Aloe in that it contains copious amounts of healing mucilage and is tasty. 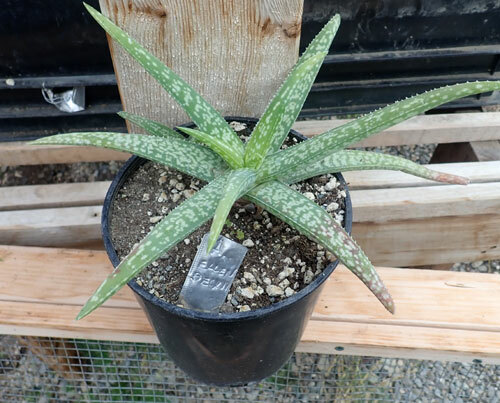 Aloe ellenbeckii and indeed most aloes prefer full to part sun and fast draining soil. This one is more cold tolerant than many, but does not withstand hard frost. Responds well to occasional watering, although daily watering will melt it like Dorothy’s ill-tempered witch. 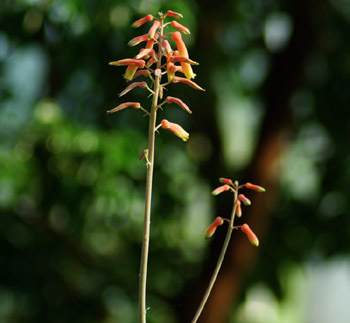 The tubular flowers are orange with pale green tips and occur frequently, even on plants that are only a couple of years old. Will form a strong colony if planted outdoors in a frost free area. Will give much pleasure if planted indoors in a pot. 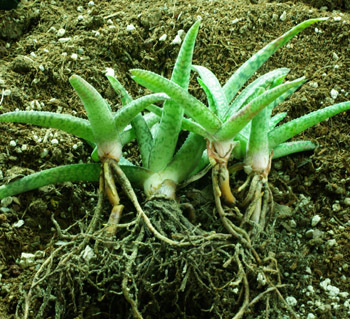 Unlike many Aloes, which have ow-ey spines, the toothed margins of this plant are kind to the touch, and never hurt anybody, that I know of.